This project sought to observe an action, bartending, to see if there was a way to increase the functionality of the tools used. After researching, I would redesign the existing tools in a way that created a more streamlined bartending process. I used both first-hand and observational research to understand how bartenders interact with their tools. This process helped me to come away with several evident problems with the existing barware. The existing bar spoon does not not aid to a comfortable stir. 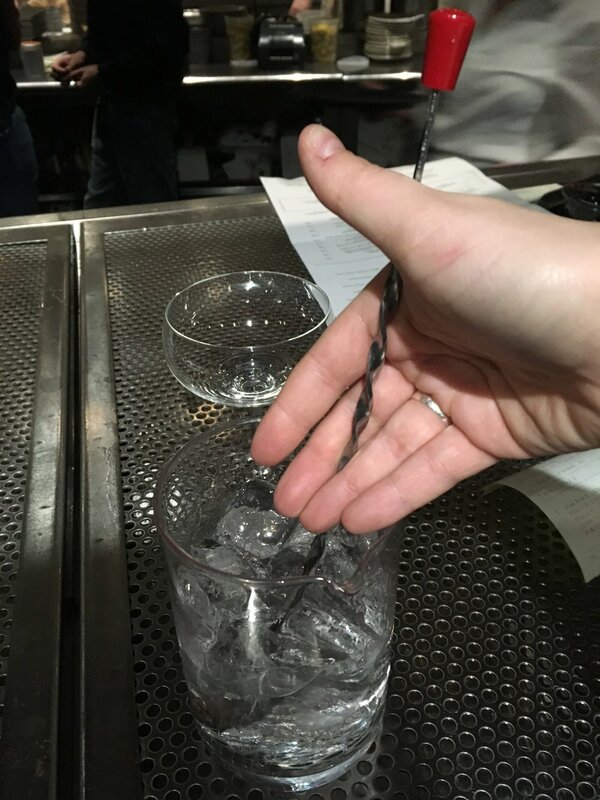 The spiraling metal is spaced too far apart and cuts into the bartenders ring finger; the spoon on the end is too bulky and is hardly ever used. The diameter of the shaker cups is too large for the female hand and causes pain in the thumb after repeated use. Finally, the strainer is separate and requires extra time to put onto the shaker. Before moving forward on own form development, I wanted to examine the existing market for barware. I came away from my secondary research with three categories of bar shakers. Each shaker had obvious advantages, but was lacking something in execution. The three types of existing shakers are detailed below. The ideation phase focused on creating two tools: a more comfortable bar stirring tool, and a narrower shaker that potentially combined a second tool in its form. 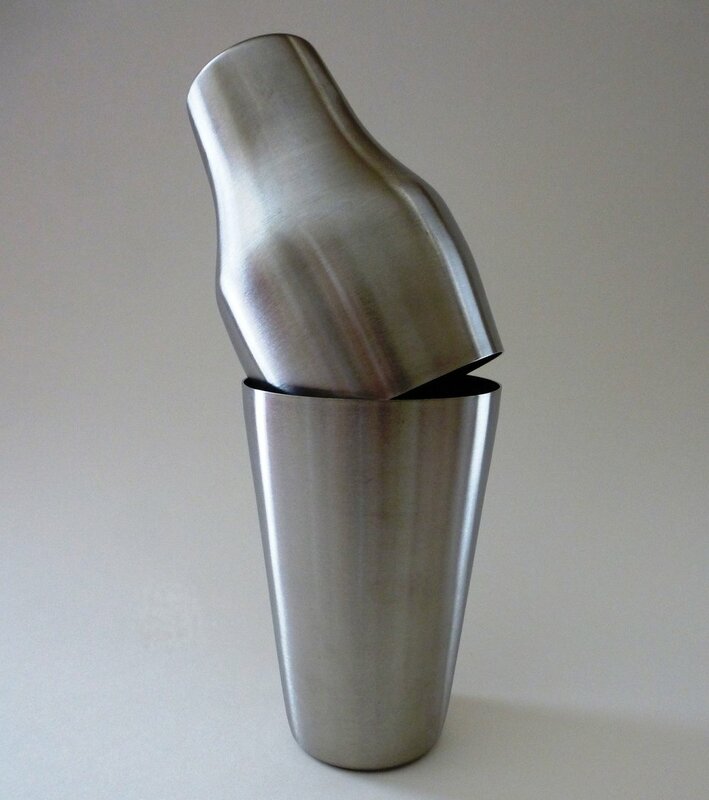 The goal of the shaker was to combine the positive aspects of the three existing cocktail shakers, while eliminating their weaknesses. Pictured below are initial hand drawn sketches, secondary digital sketches, and a Keyshot rendering of the initial 3D modeled design. After modeling in Solidworks, I 3D printed the stirrer and shaker to have them user tested. The testing revealed that the stirrer was slightly too thin, and needed to be thickened and shortened slightly. The shaker was found to be too small, length wise. I needed to increase volume while maintaining the small diameter that allowed for an easy hold. Additionally, I gained insight that lining up the strainer would be easier if there was a marker near the opening. The redesign direction for the bar spoon was a bar wand. The bar wand has a mirrored, tapered conical form, finished on the end by a small, rounded cap. This design eliminates the spoon all together. 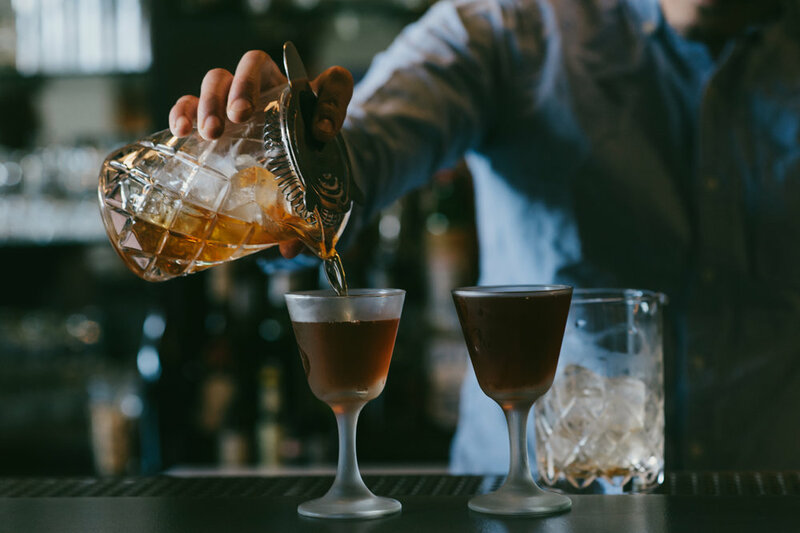 The idea came from the observation of bartenders flipping a bar spoon upside-down and using the opposite "stub" end to stir drinks. The smooth surface of the wand allows the tool to spin in your hand with ease - there are no sharp edges to cause blisters or cuts. The redesign direction for the shaker encapsulates the positive aspects of the existing three types of cocktail shakers. It holds a large volume of liquids and is easily stackable like the Boston Shaker. It has the sleek design and ease of use of the Parisian Shaker. And it has the built in strainer and smaller diameter of the Cobbler shaker. Both the Bar Shaker and the Bar Wand would be manufactured in food-safe Stainless Steel 304. They would be finished by electropolishing, to make the metal corrosion resistant.